Pool resurfacing is a sure-fire way to give your concrete inground pool a much-needed facelift. If your inground pool is 10 years old or older, chances are, the pool’s surface is showing some unsightly wear and tear, and perhaps even cracks. New plaster or a pebble pool finish can make your concrete pool look brand new again. 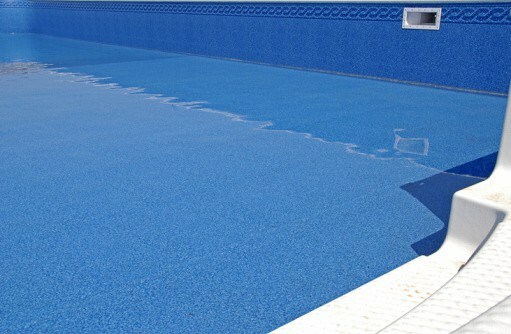 A good pool contractor can complete pool resurfacing on most pools in about ten days. Much like pool resurfacing for a concrete pool, pool liner replacement is a great upgrade for fiberglass inground pools. If your vinyl liner has wrinkles or tears, or is faded and discolored, vinyl liner replacement can really brighten your pool. And the array of choices today is amazing! The tile work in inground pools can chip or become discolored over the years. Replacing the pool tile can change the look and feel of your pool. If you are resurfacing your pool, you may want to change out the tile at the same time. Change up the size of your pool tile, create a custom design – your options are endless! 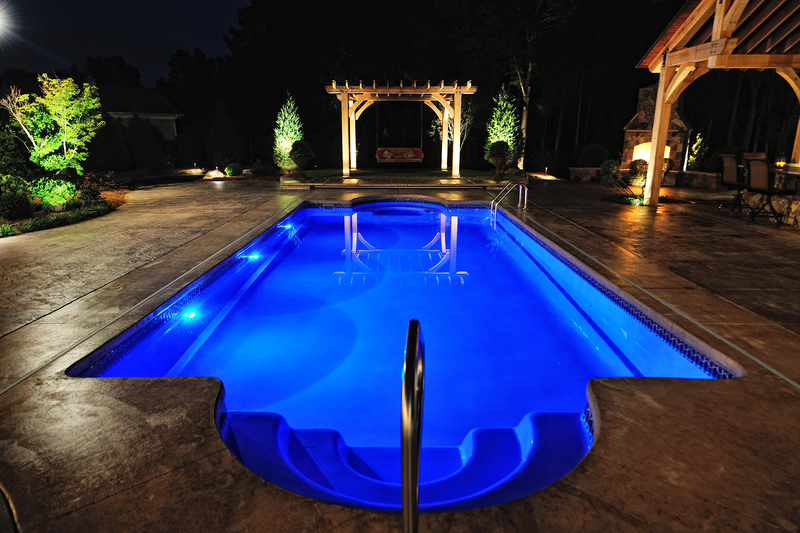 Adding or upgrading the lighting in inground pools is another top upgrade. You can make your pool more energy efficient by switching out existing incandescent bulbs with LED bulbs, or you can go all the way with a pool lighting setup with changing colors and a light show. Pool automation for inground pools is a great upgrade for any pool owner. It won’t make your pool look any different, but it will make things easier for you. Various pool automation systems allow you to schedule pool filtration, chemical management, pool temperature, pool lighting, automated pool cleaning, and more. Pool decking is like the picture frame when it comes to inground pools. 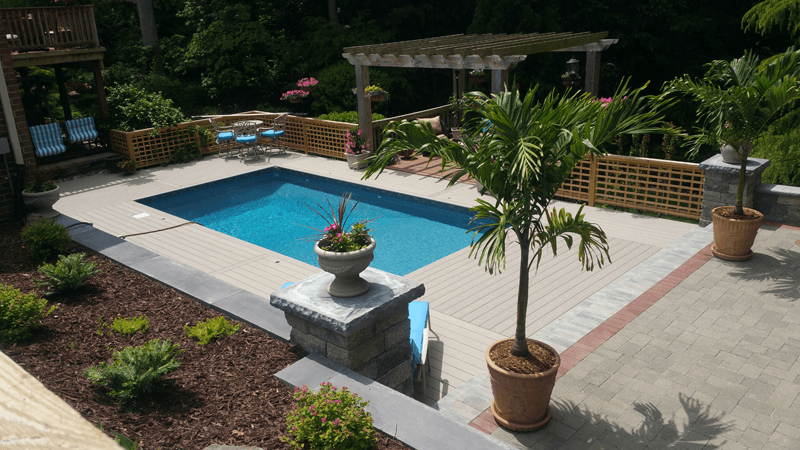 If you have plain concrete pool decking, you may want to consider upgrading to something a little more attractive, including stamped concrete, pavers, travertine, stone, brick or a combination of materials. If you’re interested in any of these upgrades for inground pools, contact your local pool contractor to get started. Early spring is a perfect time to upgrade your pool, before pool season gets fully underway.